In conjunction with the Global Entrepreneurship Community (GEC) Summit 2017, Universiti Sains Islam Malaysia (USIM) has received the Best Industry Engagement Award Public Private Research Network (PPRN) which took home a trophy and a prize of RM 50,000 from the Ministry of Higher Education (MOHE) presented by Prime Minister of Malaysia, YAB Datuk Seri Najib Tun Razak as accompanied by YB Dato’ Seri Idris Jusoh, the Higher Education Minister. USIM is amongst the 26 Higher Education Institutions who participated in solving industrial problems. The main role has carried out by USIM through the Centre of Student Entrepreneurship Development (PPKS) that was organised by a PPRN workshop which gathered entrepreneurs who faced technical and technological problems in their business operations. The following interview with the Director of PPKS, Dr Ummi Salwa Ahmad Bustamam, talked about the achievement as well as on the overview of the efforts undertaken by Centre of Student Entrepreneurship Development (PPKS). Q1 Congratulations Centre of Student Entrepreneurship Development (PPKS) on behalf of Universiti Sains Islam Malaysia (USIM) for winning the Best Industry Engagement Award Public Private Research Network (PPRN) in conjunction with the Global Entrepreneurship Community (GEC) Summit 2017. What is the significance of this award and what do you attribute this win to? This award is a huge recognition from Ministry of Higher Education (MOHE) with regards to the Public Private Research Network (PPRN). It has escalated our confident and motivation to organize upcoming PPRN workshops for industries who are having technical and technological problems in their business operations. We did not expect to receive such award since our objective of organizing the PPRN workshops are mainly for assisting the industries in getting the PPRN grants. As explained by the MOHE, USIM was selected to won this award due to our consistency in sending quality PPRN grant application forms to MOHE. Moreover, most of the problems that have been granted with the PPRN grant have successfully completed within the time frame. We would like to thank MOHE for their endless support to Universiti Sains Islam Malaysia (USIM) especially in providing funds to organize the workshops. Also, this award is actually showing that USIM has delivered a good industry engagement although we are among the young universities established in Malaysia. Q2 We understand that you beat 25 other Higher Education Institutions in the running for the award, PPKS organised PPRN workshops that gathered entrepreneurs who faced technical and technological problems in their business operations. Could you please elaborate on this initiative? USIM is located in Nilai, Negeri Sembilan. Our strategic location actually has attracted industries from nearby states as well to join the PPRN workshop organized at USIM. The workshop is open for all kind of businesses and industries who requires technical and technology innovation and solution. Initially, we will disseminate the information about the workshop to our networking channels via online and offline platforms. Prior to organizing the workshop, PPKS will form a group of facilitators consist of academics and researchers to moderate the workshop series. Usually, around 30 participants will attend each workshop and 5 facilitators will be provided to assist. On the workshop day, after the briefing session about the PPRN grant, participants will be grouped and facilitated to identify their technical and technological problems. Facilitator will probe questions to ensure each participants understand their real problems. Participants will then complete the form and facilitator will read through the form until both parties are satisfied. Within a week, PPKS will collect the form and conduct internal screening stage to ensure details of the form are completed before sending to PPRN Unit at MOHE for the application process. Ultimately, the forms will be shortlisted by MOHE for the bidding stage. Although the process seems complicated, this has helped MOHE to identify the right industry to receive the PPRN grant. Q3 How many of the collaboration through the workshops were translated into successful projects? 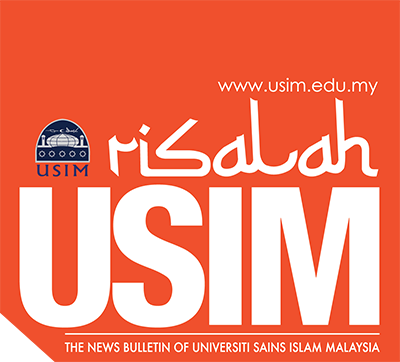 USIM has organized 8 series of workshops from 2015 until 2017 and more than 100 companies have attended the workshop. From the total applications that have been sent out to MOHE, 24 applications have been approved for the PPRN grants. From that, 18 or 75% from the total problems have been solved and successfully completed. Q4 What are the other activities carried out by PPKS to boost entrepreneurship among USIM’s community this year? We had a number of entrepreneurship programs and activities which were carried out along this year. Those programs were either organized in collaboration with industry partners or involvement of academics as siswapreneur mentors. Among other programs that have been successfully run this year were Hands-on Programme of Entrepreneurship (HOPE), Fashion and Tailoring Incubator, agropreneur projects for MyAgrosis, Siswapreneur Fest and Islamic Convention of Entrepreneurship (iCEPS). We also involve our students in MOHE’s national programs such as Siswapreneur@PPRN, Siswatech2Biz, Social Enterprise @ Urban Community and Siswapreneur Showcase. PPKS also has our entrepreneurship training module called ‘Latihan Asas Keusahawanan Islam Siswa’ (LAKIS). The five days training usually conducted during semester break to expose students with real hands-on entrepreneurship experience. Other than LAKIS, students who have already started their venture will be given opportunity to present their business idea to potential venture capitalists comprises of USIM lecturers and also administrative staffs who are interested to invest in students’ businesses. This ‘shark-tank’ program provides a good platform for students in expanding their business. USIM students also are actively involved with social entrepreneurship projects led by ENACTUS USIM. For instance the golden oil project is conducted to collect used cooking oil for recycle and transform into bio-diesel. Recently, we had organized USIM Entrepreneurship Award (AKU) 2017 to appreciate and recognize students, mentors and also industries who are actively involved and supported entrepreneurship activities in USIM. PPKS also provide premises and facilities to students who would like to run business in campus. For instance, we provide Student Mall shop lots, portable kiosks, canopies and also space for business carnival. This year also PPKS had introduced La Vendore shop whereby students and staffs may rent a space to locate their business items. Besides that, Siswapreneur Business Incubator was launched to provide a space for students to discuss programs and plan business activities comfortably. Q5 What are your plans next year? For the next year’s plans, we are intending to consistently organizing the PPRN workshop every month, with the expectation to reach out more entrepreneurs and industries. In terms of entrepreneurship programs for students, next year we will be focusing on agropreneur project. Realizing the potential of agro industry, we believe that USIM should grab this opportunity given by Ministry of Agriculture on the young agropreneur grants. Currently we are working with Department of Agriculture of Malaysia and Nova Babylon Sdn Bhd to ensure the successful of this agropreneur project. Besides that, we are in the planning for organizing a global youth entrepreneurship summer camp in collaboration with Daffodil International University (DIU), Dhaka and HOPE@USIM which is expected to be held in August 2018. Other than that, we will continuously organize and facilitate students with entrepreneurship training and business skills. Focus also will be done for 4th Industrial Revolution business skills for example trainings and workshops for online business which is well-known among students. Training and coaching will be provided by industry mentor and one of them is Siswapreneur Digital @USIM which will be starting this coming February. Q6 Could you share with us the short, mid and long term goals PPKS has in terms of achieving the entrepreneurship agenda? PPKS was established on 1 August 2010 and was in line with the launch of Higher Education Entrepreneurship Policy in April 2010. The role of PPKS is to plan and conduct structured entrepreneurship training and centralize entrepreneurship programs among USIM students. The main objectives of PPKS establishment are to produce graduates entrepreneur and graduates with entrepreneurial attributes specifically with high entrepreneurship skills and noble characters. In achieving these, PPKS will continuously provide significant entrepreneurship programs and environments based on Islamic values for entrepreneurial development. PPKS will also strengthen and widen support system for students’ businesses. In the context of encouraging students becoming job creators instead of job seekers, PPKS has formed an entrepreneurship framework to be implemented in the entrepreneurship ecosystem in USIM. Starting with the Model for Graduates in Integration of Naqli and Aqli Knowledge (GIINA Model), which are holistic, balanced and entrepreneurial, students are exposed from Year 1 on the entrepreneurship enculturation programs. For example, entrepreneurship foundation course is a compulsory to all students regardless of their faculty background. HOPE is also introduced as a 6-hours credit co-curriculum course for students to get involve since Year 1. In this stage, PPKS promotes and acculturates the values of entrepreneurship across curriculum. This will also stimulate students interest to becoming entrepreneurs. PPKS then empowering students by providing entrepreneurial learning opportunities to students in Year 2 and 3. Entrepreneurship training and seminars are conducted to enrich students’ knowledge. Students also are encouraged to run and start their business venture using facilities provided by PPKS. Students creativity and innovation talents will be recognized through competitions such as business idea pitching. Finally, in year 4, before leaving the university, students are equipped with resources in terms of mentoring and coaching with industry partners and experienced lecturers. Students also are informed with availability of financial assistance from agencies. This is to support student to create and grow their business which ultimately becoming job creators. PPKS also imparting entrepreneurial skills within staffs and communities. Hence, some of the programs conducted will involve staffs and communities participation as mentor, facilitator or even as participant. In addition, the engagement with industries are very significant and important in ensuring the entrepreneurship agenda in USIM is successful. For instance, memorandum of understanding and agreement were signed with several industries including Nova Babylon Sdn Bhd and Perfect Triangle Sdn Bhd. In essence, entrepreneurship agenda in USIM is continuously running involving all parties including students, staffs, industries and communities. We hope that from this entrepreneurship agenda and effort, USIM will flourish as a university that significantly contribute to the ummah development.